XAN TYLER is perhaps best known in electronic music circles as the vocalist of cult synthpop duo TECHNIQUE. The brainchild of multi-instrumentalist Kate Holmes, the concept was a female interpretation of PET SHOP BOYS crossed with NEW ORDER’s post-punk edge, hence the moniker after the Mancunian quartet’s fifth album. The pair had two minor hit singles ‘Sun Is Shining’ and ‘You & Me’ in 1999, both under the auspices of acclaimed producer Stephen Hague while a mini-album ‘Pop Philosophy’ belatedly came out in 2001. As a result, TECHNIQUE were booked to support DEPECHE MODE in Europe but Tyler was unavailable for the tour, rumoured to be AWOL. 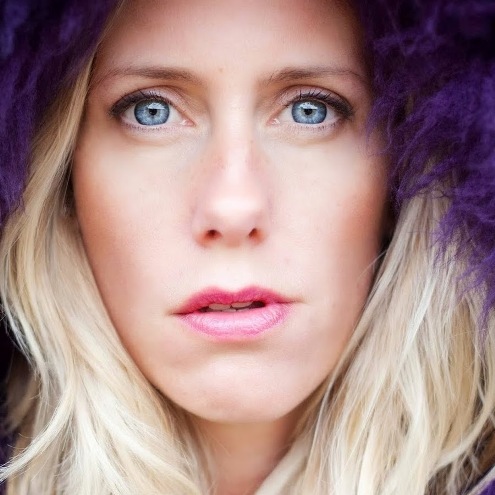 DUBSTAR’s Sarah Blackwood was recruited to replace her and the new duo eventually became CLIENT in 2002. Meanwhile, XAN TYLER continued to work on a variety of projects and has now unleashed a new EP ‘Into The Blue’ which adopts an electro-acoustic flavour not entirely dissimilar from HANNAH PEEL, particularly on the spacious piano-led title track. The jazz flavoured ‘Rainmaker’ could be a British take on JULEE CRUISE while ‘No One Like You’ is a pretty, atmospheric number with sweeps and beeps alongside some acoustic strumming. ‘Stop The Clock’ adds a drum machine to the EP’s template but ‘If’ takes an even more electronic stance with the beats taking a more prominent role. Closing with ‘This Room’, it is this one that perhaps is most reminiscent of TECHNIQUE despite the six string picking. 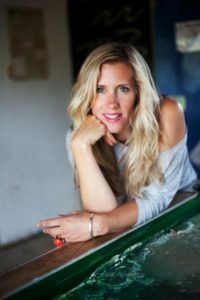 You first became known to the synth world as part of TECHNIQUE with Kate Holmes. How do you look back on that time? Really fondly… before that, I had been a jobbing singer, touring and doing the odd session here and there. Then all of a sudden I was doing live telly, making expensive videos and partying on expenses. I had a great time. TECHNIQUE were signed to Creation but were out of place with the post-Britpop mood of the times. The music environment was not as sympathetic to electronic pop, particularly fronted by women, then as it is now… the press appeared to be quite hostile to you? Well, not all of them were hostile, we did get some great press but yeah, it was tough here in the UK. We did better in Europe and Japan in that respect. The British press just couldn’t get past Kate’s relationship with Alan McGee. Despite her being an established artist in her own right years before she met Alan, the British press were just obsessed with it and it really got in the way. Also, I do think musically we were a bit early. We paved the way for others… including CLIENT! But TECHNIQUE were vindicated when ‘You & Me’ became a hit in China via a cover version by COCO LEE in 2000? Well, it was covered by Coco, so obviously I had very little to do with that but I was chuffed for Kate because she did well out of it. It was a nice two fingers up to all the doubters. 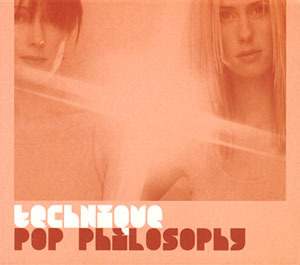 TECHNIQUE worked with Stephen Hague and seven tracks appeared on the ‘Pop Philosophy’ mini-album via Poptones in 2001 after Creation folded. Mr Hague is known for his ‘painstaking’ approach’, how close were you to finishing a full length album? ‘Pop Philosophy’ was always going to be a mini-album. 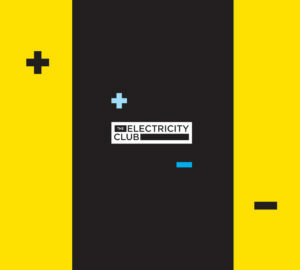 It’s a cracking little album and I still get messages from TECHNIQUE fans that say they listen to it often. Stephen Hague is a genius. TECHNIQUE supported DEPECHE MODE on tour in 2001 but you were not part of it and the group eventually morphed into CLIENT. What’s your side of the story and do you have any regrets? At the time, I was working with TIMO MAAS on Positiva and I was involved with a club night in London that clashed with the tour. It was only one night that clashed as I remember and with hindsight I probably shouldn’t have blown out the whole DM tour for it but no, I don’t regret it. That time was an important turning point for me personally and career-wise… it was meant to be. If Sarah Blackwood hadn’t come in at that point, CLIENT wouldn’t have happened… that was also meant to be. Kate and I wouldn’t have evolved into CLIENT. Besides, if I had done the tour, I wouldn’t have had the enjoyment of reading press reports that described me as AWOL! You subsequently worked in the dance scene. How did you find this compared with TECHNIQUE and which of your tracks/collaborations were your particular highlights? It wasn’t all dance music after TECHNIQUE. I also did a dub album with MAD PROFESSOR, which featured a guest vocal from LEE SCRATCH PERRY. That was released on Poptones too. ORINOKO was the highlight of my dance chapter. I collaborated with TIMO MAAS and MARTIN BUTTRICH on that track and at the time, the two of them were massive. Positiva was a really cool label and they were putting out amazing stuff – it was nice being a part of that scene. In 2011, there came the surprising news that you were to join CLIENT. But what happened there? It was after Sarah had left CLIENT and I visited Kate in Wales. At the time, Kate was busy setting up her Client London brand but she knew she wanted to do another album and that there might be a tour. She asked me if I would stand in on any gigs and I said yes. It was only ever going to be for live shows and as it turned out nothing came in before the start of the album. Kate and I are good mates. Who knows, we might collaborate again in the future. You’ve finally gone solo and have a brand new EP ‘Into the Blue’ which, while having an electronic base, explores more acoustic territory? Yeah, I’ve always listened to wide mix of different music and I wanted to make something that reflected my varied tastes. Stuart Crossland (producer) and I were involved in the London underground scene near the end of my involvement with TECHNIQUE. We shared a lot of ideas about music across a lot of genres and it was only a matter of time before we would collaborate on some kind of creative project. We have bonded over everything from folk, pop, deep house to techno. We didn’t feel we needed to restrict ourselves during this project. We finally got together in 2013 when Stuart found time from his busy schedule at Artspace Studios. It was a collaboration that was destined to happen and it brought together a whole load of influences and artists to create an interesting mix of sounds. What is the story behind ‘This Room’, which is probably the track that’s a good entry point for anyone who has been aware of your previous work? I actually feel any of the last three songs on the EP are a good starting point for those people as they are all more rooted in an electronic vein. ‘This Room’ is about a break up but it’s also about the sense you can get when you’re in a relationship that you’ve lost yourself and don’t recognise who you once were. The industrial noises and beats really give a sense of that loneliness. But above and beyond, it’s simply a really good dance track. What are your particular favourites from the ‘Into the Blue’ EP and why? 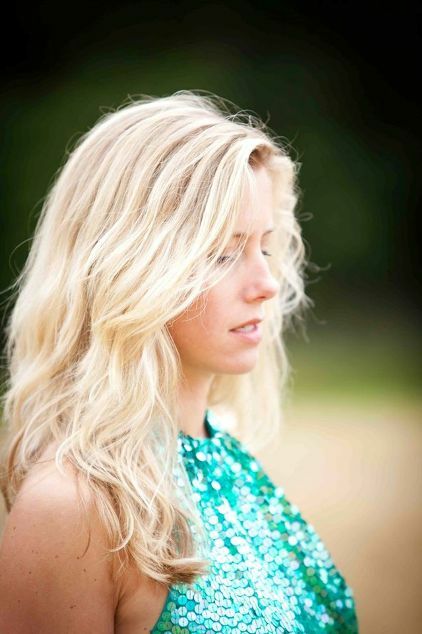 The first track, ‘Into the Blue’ is about strength and courage coming from a delicate source. I wanted it to be spacious and light. When the flugelhorn and trombone come in during the chorus it feels bright and hopeful. I love that moment because it sounds exactly the way I heard it in my head when I wrote it! Stuart and I both wanted a retro sound for ‘Rainmaker’ and Jamie Fisher came in and put down these incredible Mark Ronson-esque drums. They are perfection. On ‘No One Like You’ I really love the double bass played by Andy Tolman. The song is about unrequited love and somehow the double bass gives both sadness and hope. It’s lovely. I’ll never tire of hearing those horns (Titch Walker and Kieron O’Neill) kick in either… I’m a sucker for a horn section! ‘If’ is a bit of a nod to James Figurine (DNTEL) who Stuart and I both rate. I really love the production of that track and the beats are sublime. I’m aware that the tracks are all quite different from each other but I think there is a thread running through them that ties them together. My voice and writing style alongside Stuart’s incredible production… I think it works, hopefully others will too. This is your first release without label backing. So what is the future for an artist of your position in this modern music world? Is it crowdfunding? Or does an artist now have to aim for it to perhaps be a sustainable hobby while juggling a day job? It’s really hard to make money through music now more than ever. The industry is going through a shake up and big bands are giving away their music. Musicians get ripped off at every turn, online stores take a huge cut, Spotify don’t remunerate artists properly, venues expect you to play for bugger all (and in some case they expect you to pay to play). If you want to make money from the music industry, don’t be a musician! As for me, I’m putting together a live set and rehearsing for gigs next year. I’m promoting this EP and already writing songs for the next one.